This product is also known as the Soft Transfer Belt. The inside of the belt is lined with a rubberised material designed to grip the patients clothing and minimise slipping. Patient Handling Walking Belt assists the carer in patient mobility and transfers. Reduces the risk of strain or back injury for the carer and user. The transfer belts for patients features reinforced padding for added user comfort and can be easily adjusted. A walking belt, also known as a Soft Transfer Belt, is a padded belt to help patients and carers in a transfer; both sit to stand and also whilst walking. The design features padded and reinforced cut away handles to maximise patient comfort and carer ease. Walk Belts are sometimes referred to as Pelican Belts, Johnny Belts or Transfer Belts. 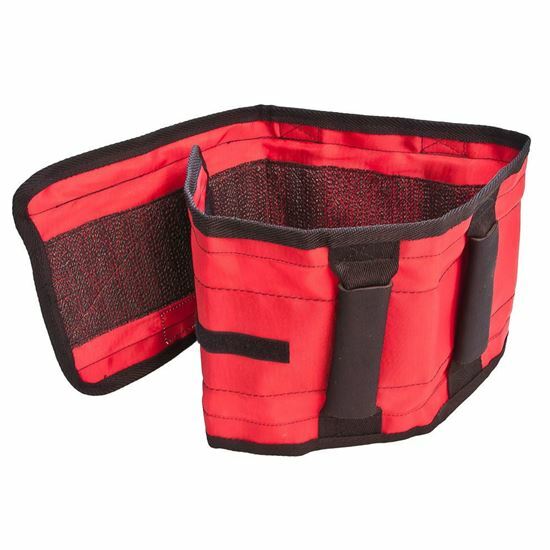 This popular belt is just one of many manual handling aids.